So great to see old friends, and make new ones at the NW Flower and Garden Show this past weekend! 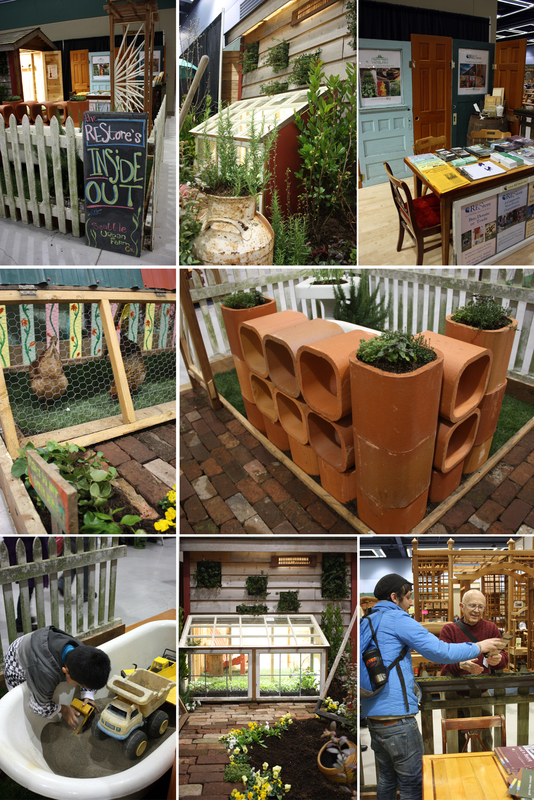 The RE Store crew busted out an “Inside Out” display garden in just two days, with the wonderful plant help and chicken wrangling of Seattle Urban Farm Co. A special thanks to them – and to all of you that visited us! Those coveted items that were in the booth – ceramic flue tiles, and the arbor, just to name a few – are back at the Seattle store, and ready to find their way to new homes. Come use your coupons for some new yard elements – and happy garden planning and planting!